Sausage and Egg Breakfast Tacos are a fun and easy breakfast recipe. 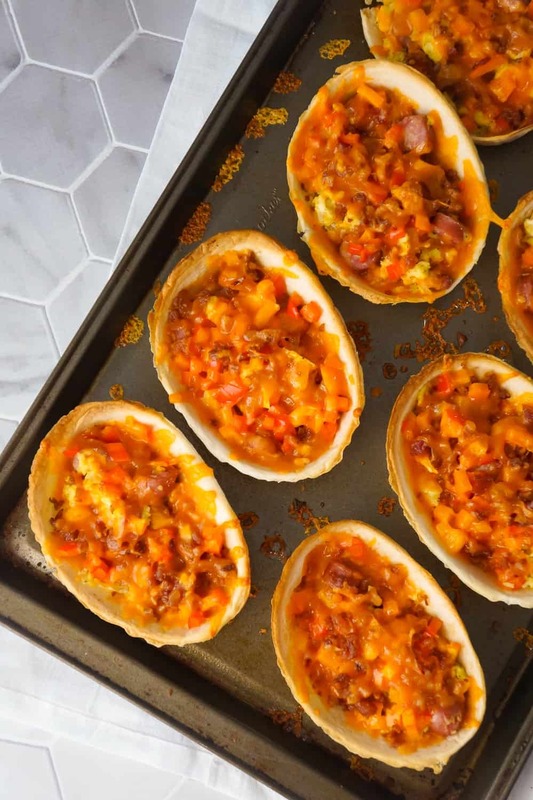 These breakfast tacos are made in Old El Paso tortilla bowls and loaded with eggs, maple breakfast sausage, cheddar cheese, sweet bell peppers and bacon. 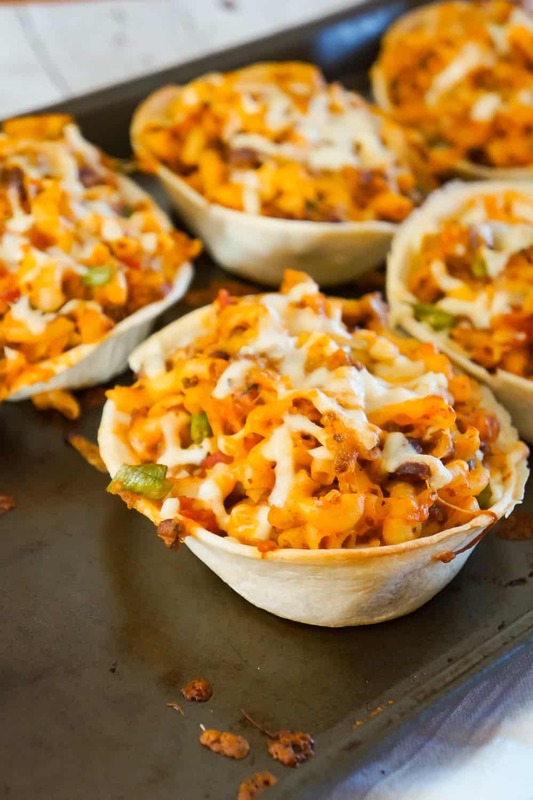 To make these taco bowls, I started by dicing some onion and chopping some precooked maple breakfast sausage into bite sized pieces. 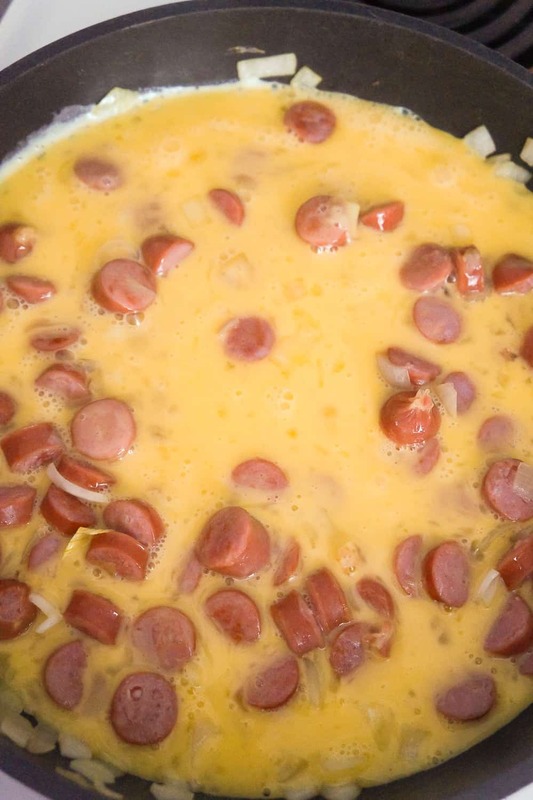 I added the diced onion and chopped sausage to a large frying pan along with a dab of margarine and cooked them until the onions were just starting to brown. Then I cracked some eggs into a small mixing bowl. I used a fork to beat the eggs really well. 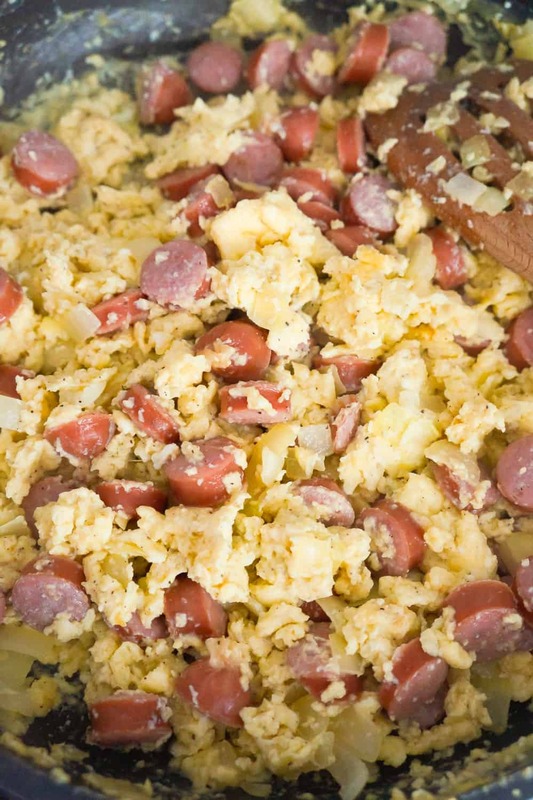 Then I poured the beaten egg into the frying pan with the sausage and onions. I cooked the egg stirring frequently and gently scraping the bottom of the pan. While the egg was cooking I seasoned it with salt, pepper and onion powder. Once the egg was completely cooked I removed the pan from the heat and set it aside. Then I placed the taco bowls onto a greased baking sheet. 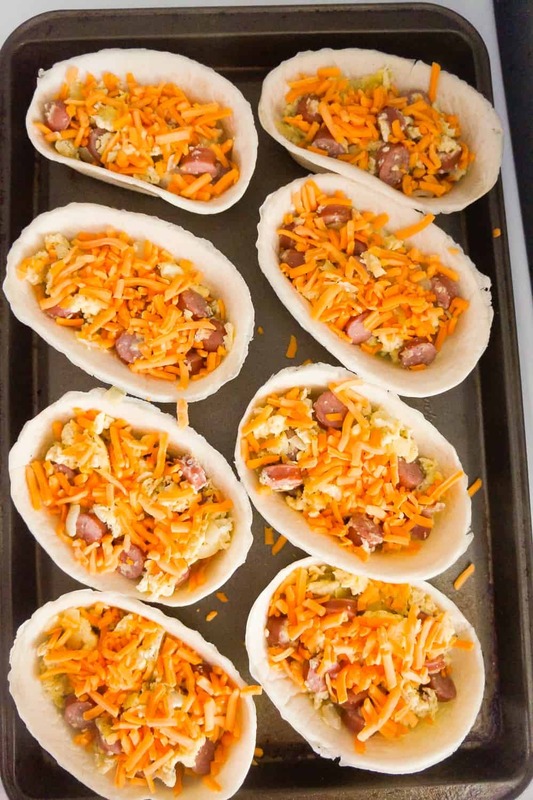 I spooned the egg and sausage mixture into the taco bowls dividing it evenly between them. Then I sprinkled some shredded cheddar cheese over the egg. I diced some sweet bell peppers and sprinkled them on top of the cheese along with some real bacon bits. Then I sprinkled some more cheddar cheese on top. I placed the baking sheet in the oven and baked the tacos until the shells were just starting to brown. 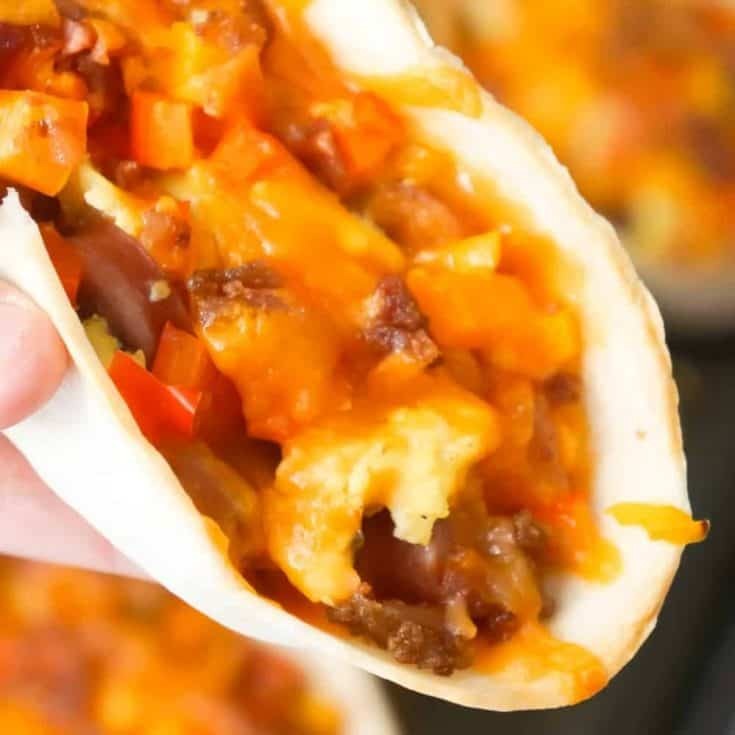 These delicious breakfast tacos would be perfect to serve for brunch. 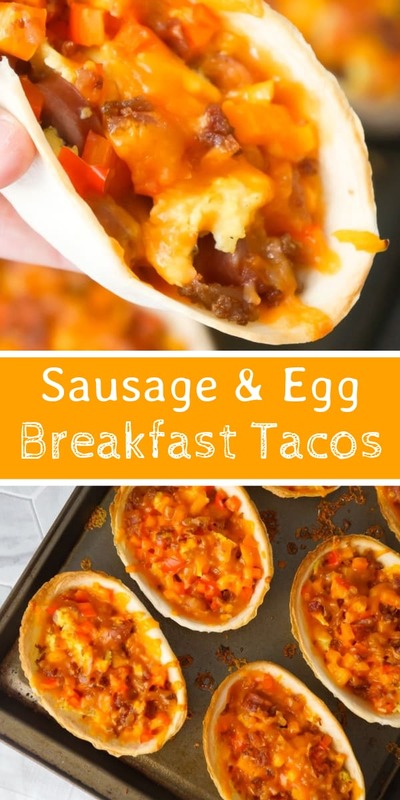 If you are looking for a simple breakfast recipe packed with flavour then you need to make these Sausage and Egg Breakfast Tacos! 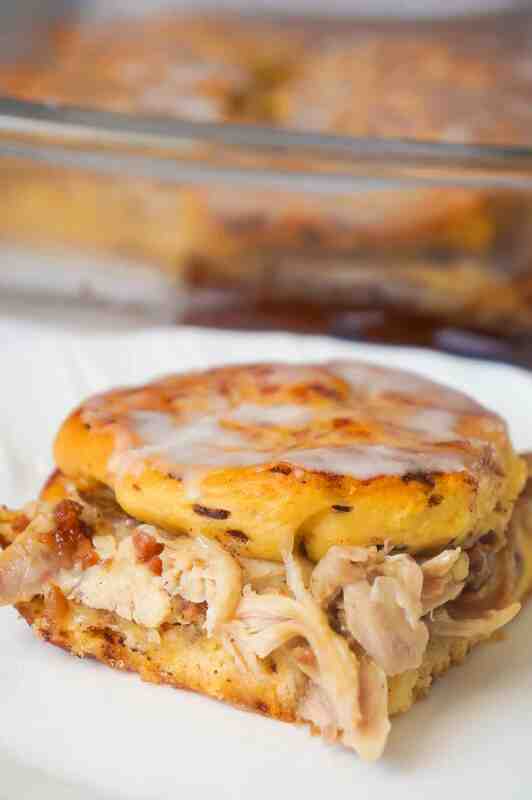 Another delicious recipe with breakfast sausage. 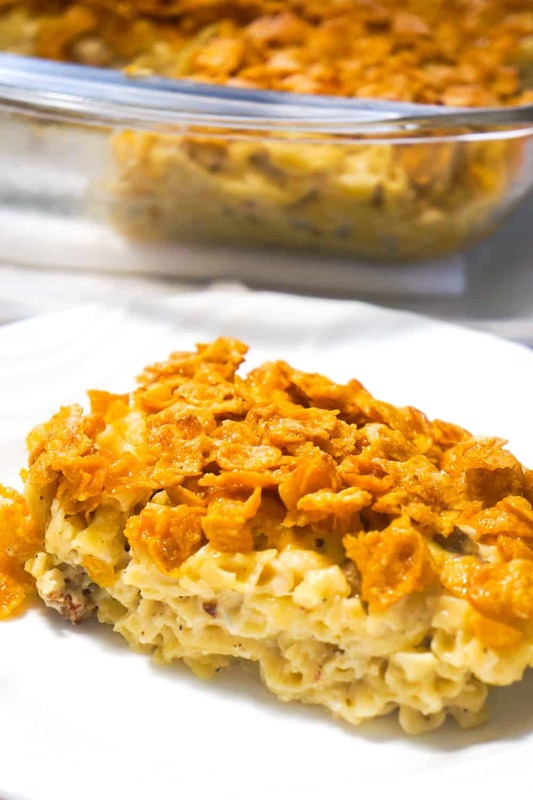 Check out this Breakfast Sausage Mac and Cheese topped with Frosted Flakes! 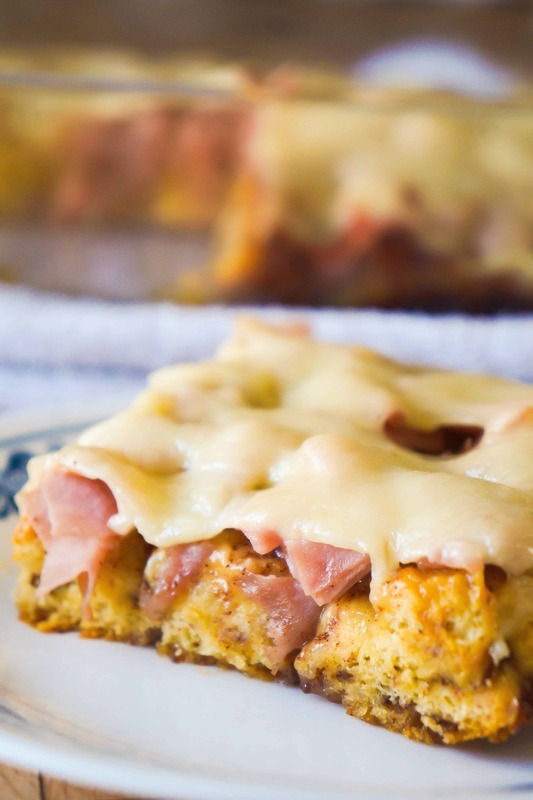 If you are looking for an easy breakfast casserole recipe check out this Chicken Bacon Swiss Breakfast Casserole with Cinnamon Rolls! 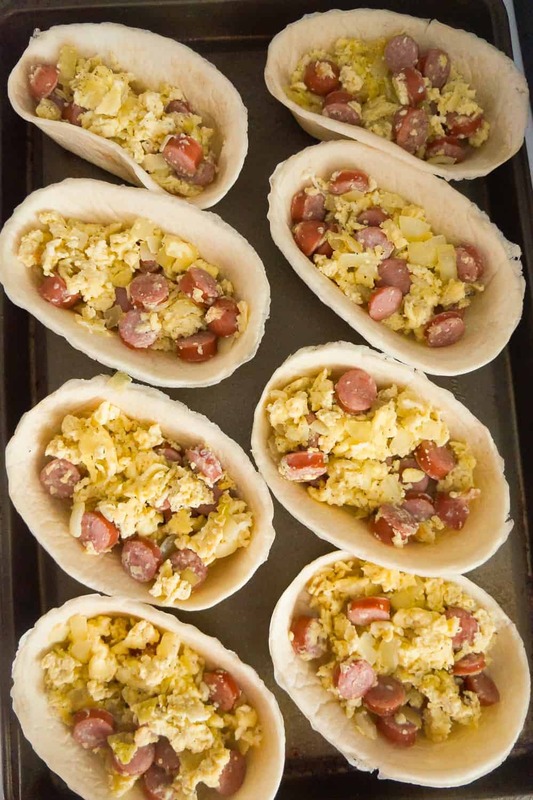 Sausage and Egg Breakfast Tacos are a fun and easy breakfast recipe. 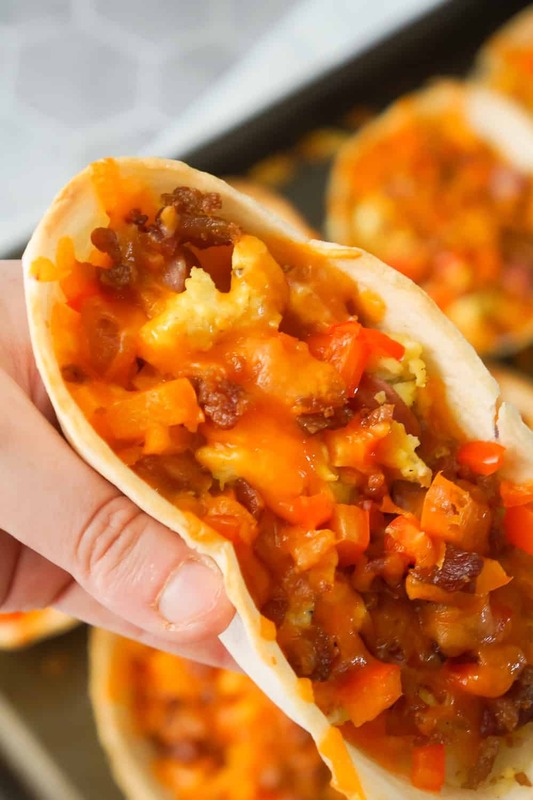 These breakfast tacos are made in Old El Paso tortilla bowls and loaded with eggs, maple breakfast sausage, cheddar cheese, sweet bell peppers and bacon. Heat a large frying pan on the stove over medium-high heat and add a dab of butter or margarine to the pan. Chop the precooked sausages into bite size pieces. 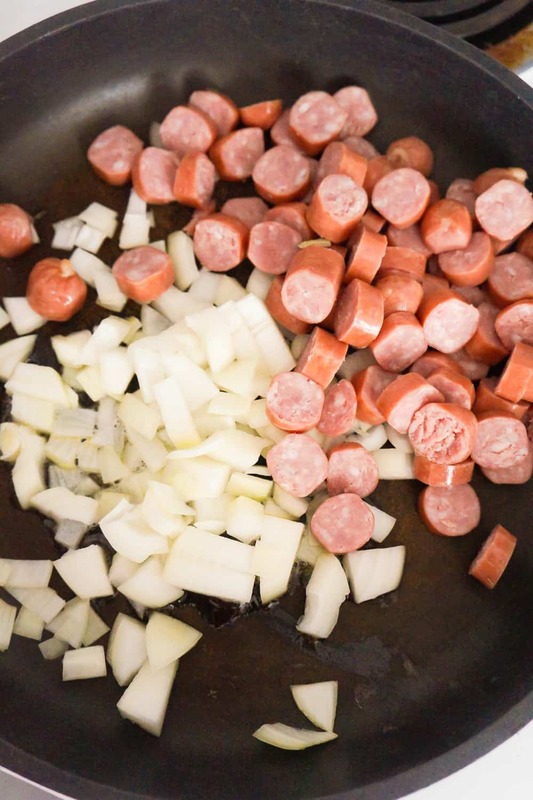 Pour the diced onions and chopped sausages into the heat frying pan. Cook until the onions start to brown then reduce heat to medium. 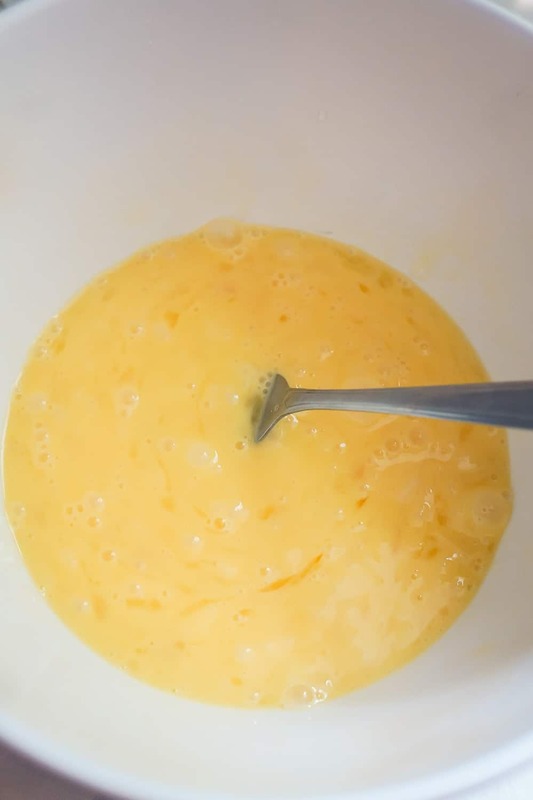 Crack the eggs into a small mixing bowl and use a fork to beat them well. 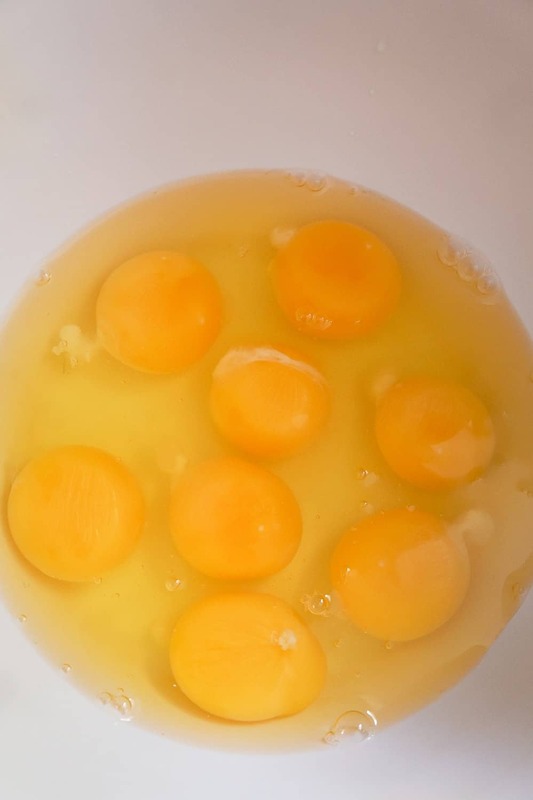 Pour the beaten eggs into the frying pan and cook the egg stirring frequently and gently scraping the bottom of the pan. While the eggs are cooking season them with the salt, pepper and onion powder. Once the eggs are completely cooked, remove the pan from the heat. 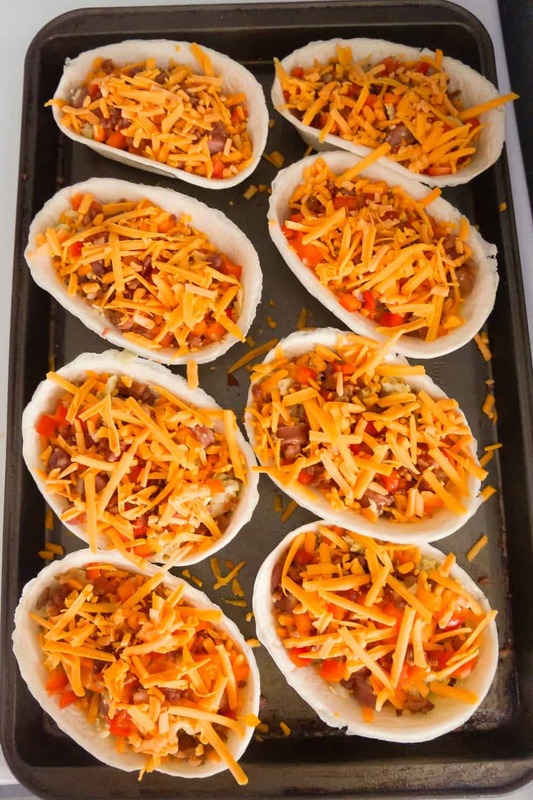 Place the taco bowls on a greased baking sheet. 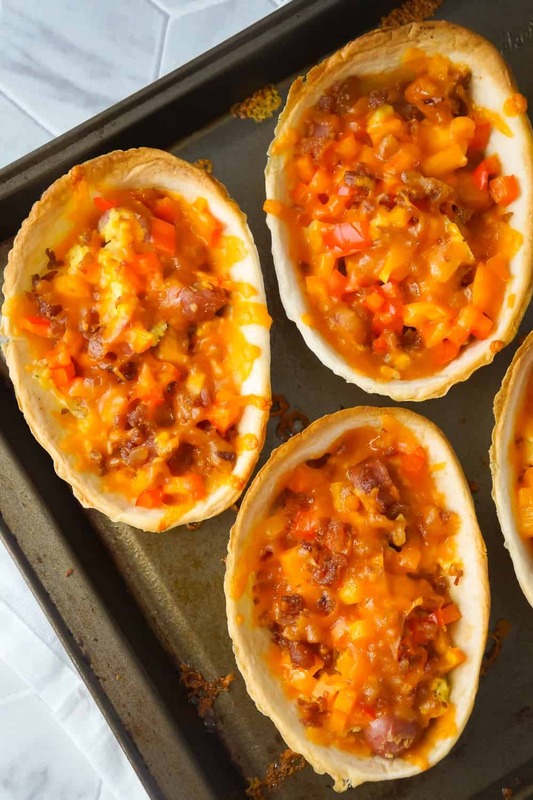 Spoon the egg and sausage mixture into the taco bowls. 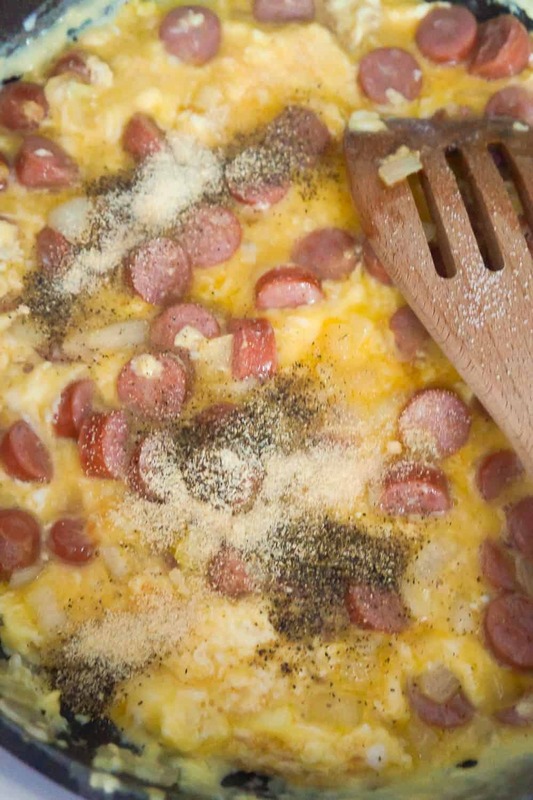 Take one cup of the shredded cheese and sprinkle it over the eggs. 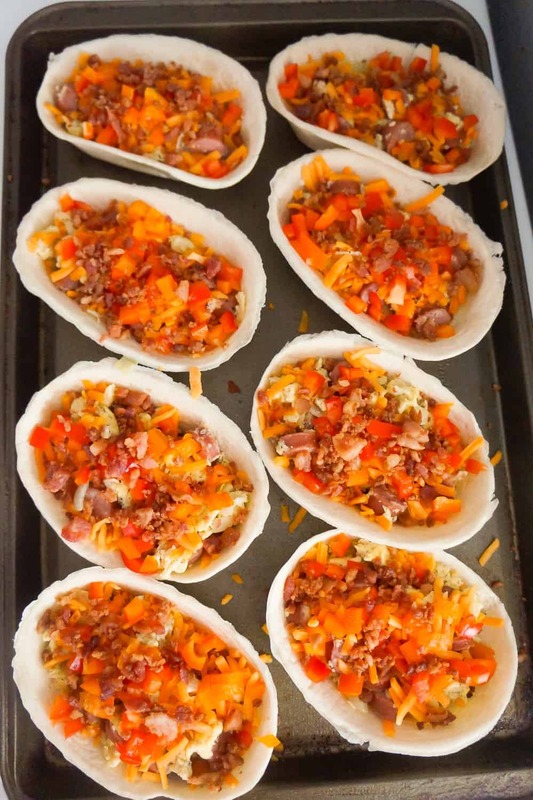 Sprinkle the diced bell peppers and bacon bits on top of the cheese. Sprinkle the remaining cup of cheese over the peppers and bacon. 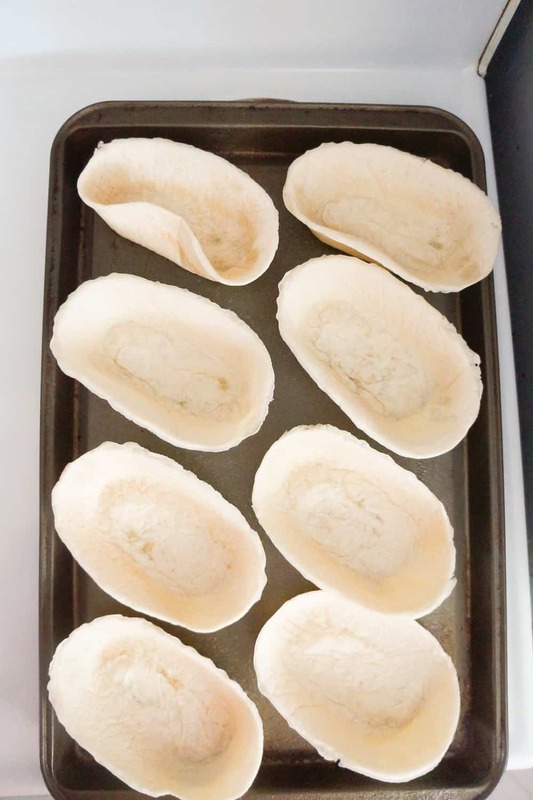 Place the baking sheet in the oven and bake the tacos until the shells start to brown. 8-10 minutes.